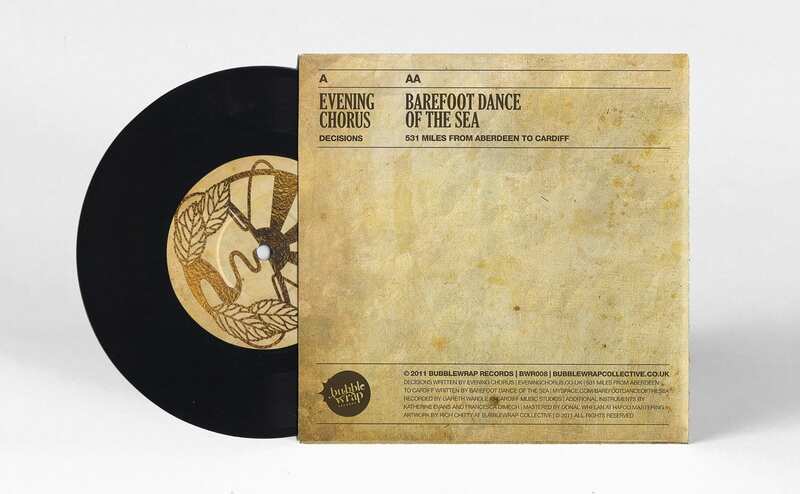 This is the long-awaited debut release from two of Wales’ finest folk bands. 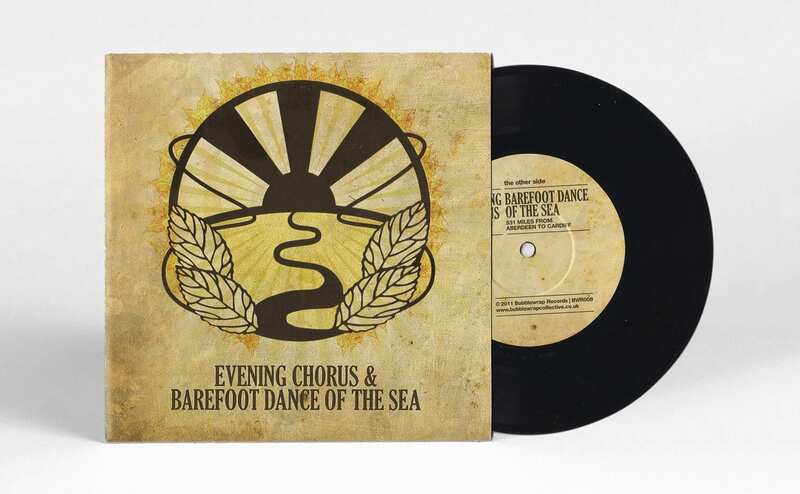 Recorded by Gareth Wardle at Cardiff Music Studios, the split 7″ release is a collaboration between Evening Chorus and Barefoot Dance of the Sea and incorporates Evening Chorus’ ‘Decisions’, and Barefoot Dance of the Sea’s ‘531 Miles from Aberdeen to Cardiff’. 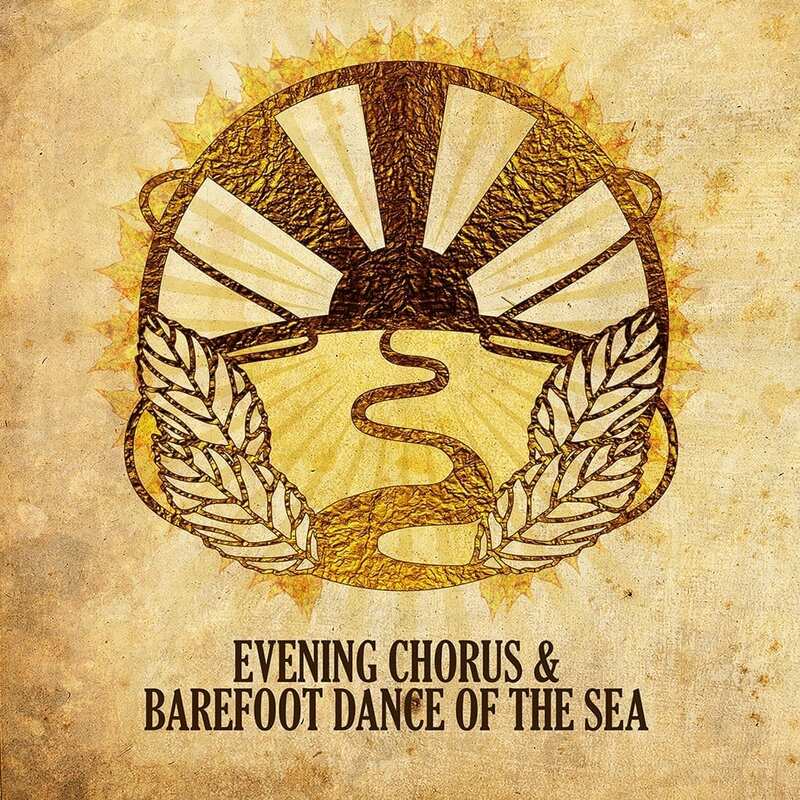 The result of this recording is two beautifully crafted pieces of folk music, wrapped up in harmonies, with subtle and diverse instrumentation and yearningly honest lyrics. Evening Chorus began as two lifelong friends, a chance meeting and a university course mate. They were brought together by a love of tea, biscuits and folk music and decided to combine their own experience and influence to create something new. A year and a half later, after extensive touring of South Wales and the South of England, and a finalist position in the Greenman Festival’s Green Poll, their powerful vocal harmonies and inventive use of the instrumentation has granted them a solid reputation as one of Wales’ finest Folk groups. The trio that is Barefoot Dance of the Sea is made up of Rebecca Wood, Beth Gibson & Sophie Cochrane, the former two from of the Hot Puppies fame and all three from the ensemble supporting Spencer McGarry Season on his Episode 2 album. Their gorgeous three-part harmonies, country laments and sea shanties are encompassed by minimal (bordering on skeletal) instrumentation. Their delicate guitar and percussion embellish songs of gentle melancholia and light-footed charm.